On this 63rd commemoration of the catastrophe which is marked by the foundation of an Israeli state in Palestine, the will of the Palestinian people to resist occupation and expulsion is steadfast. Demonstrations demanding an end to apartheid and ethnic cleansing are occurring across occupied Palestine. 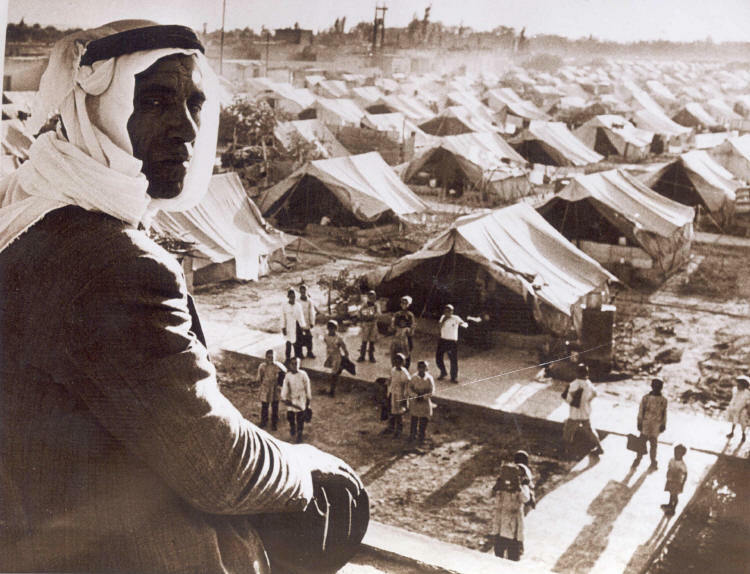 Tens of thousands of Palestinian refugees now living in Lebanon,Syria and the open air prison which is Gaza marched toward the boarders that separate them from each other and from their places of origin; they were repelled with Israelimilitary force and many have died. In honor of this day, and the ongoing struggle it represents, the campaign to Stop the JNF shares therelease of the e-book Greenwashing Apartheid: The Jewish National Fund’s Environmental Cover Up and announces the Plant-a-Tree in Palestine project. The book, Greenwashing Apartheid: The Jewish National Fund’s Environmental Cover Up, is available free on line. It documents evidence that the JNF is not an environmental organization but rather an instrument of ethnic cleansing and complicit in war crimes. Contributors are from the USA, UK, Canada and Palestine, with an afterward by American writer and environmental activist Joel Kovel. In the book, Akram Salhab describes the environmental disaster by the JNF’s draining of Lake Hula and Corey Balsam analyses the ideological role of tree planting. David Schwartzman makes the connection between the JNF, the siege of Gaza and climate security, while Coya White Hat-Artichoker, a member of the Rosebud Sioux Tribe, contributes a speech on First Nations-Palestinian solidarity. The 4th JNF e-book Greenwashing Apartheid: The Jewish National Fund’s Environmental Cover Up, is published by the International Jewish Anti-Zionist Network (IJAN). We are pleased to announce a joint project of the Middle East Children’s Alliance, the Palestinian Grassroots Anti-Apartheid Wall Campaign (Stop the Wall), the Palestinian Farmers Union, and the International Jewish Anti-Zionist Network. Please honor the 2011 commemoration of the Nakba by planting a tree in Palestine. The project is part of the Stop the JNF campaign. It is not possible to replace what is lost when people are displaced, land and a way of life is destroyed, 1,000 year old olive trees uprooted. In Palestine scores of 2,000-year-old cities and historical sites are buried under JNF planted forests and parks. Rebuilding and replanting are acts of daily resistance in Palestine. This project seeks to support the on-going struggle ofPalestinians to sustain and rebuild their land by providing resources for villages to plant trees that are indigenous to Palestine’s natural environment and agricultural life.